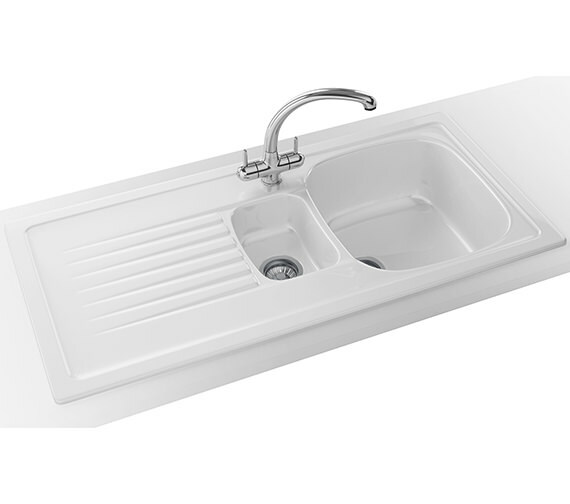 Franke Villeroy & Boch brings you high quality designer elements for a contemporary kitchen with the Elba Propack Sink and Tap. 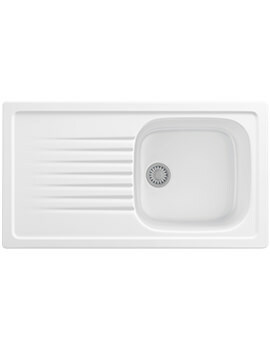 Manufactured from ceramic, it is resistant to all standard household chemicals; it stands up to heat, staining and impact. 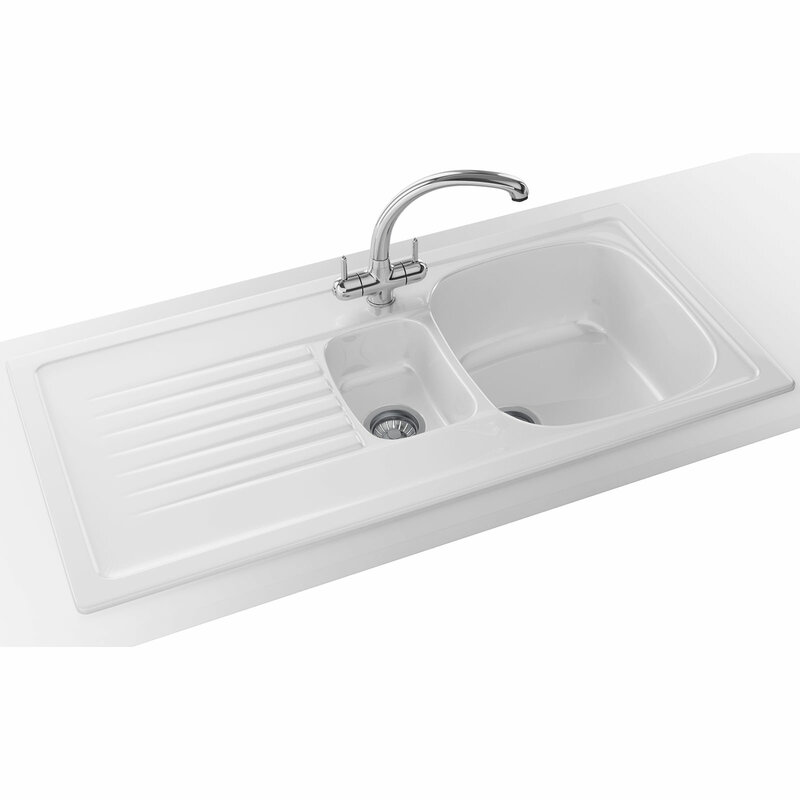 The 1.5 bowl model has a standard profile and inset installation for a seamless finish. 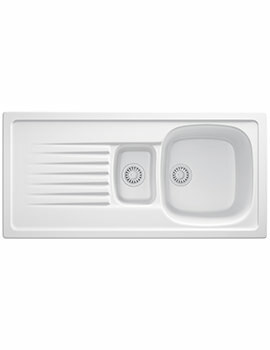 Comes with reversible drainer and sports a White gloss finish to add a charming look. 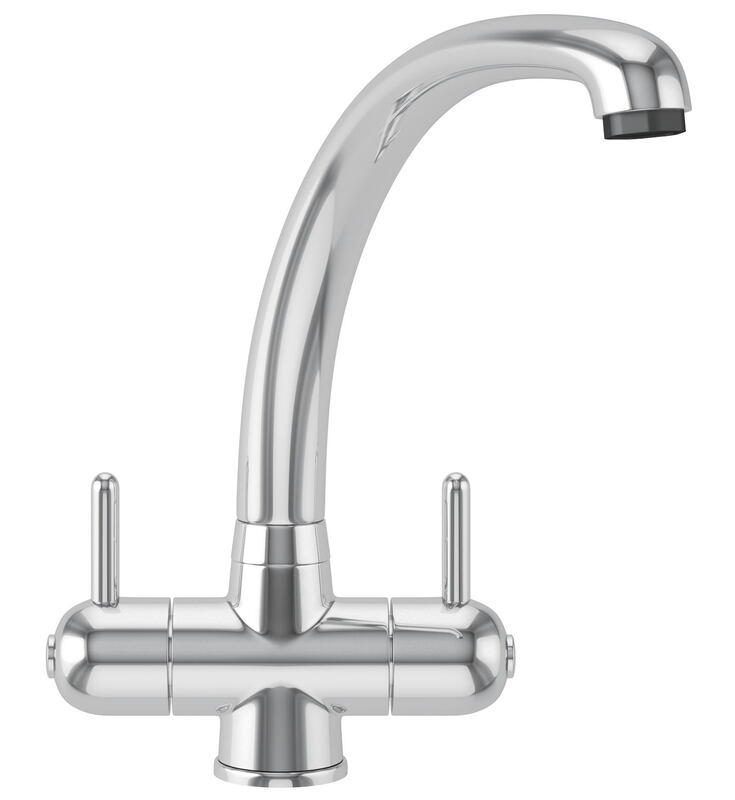 Inclusive Zurich Tap with a bi-flow spout and chrome finish, fabulously complements the sink. 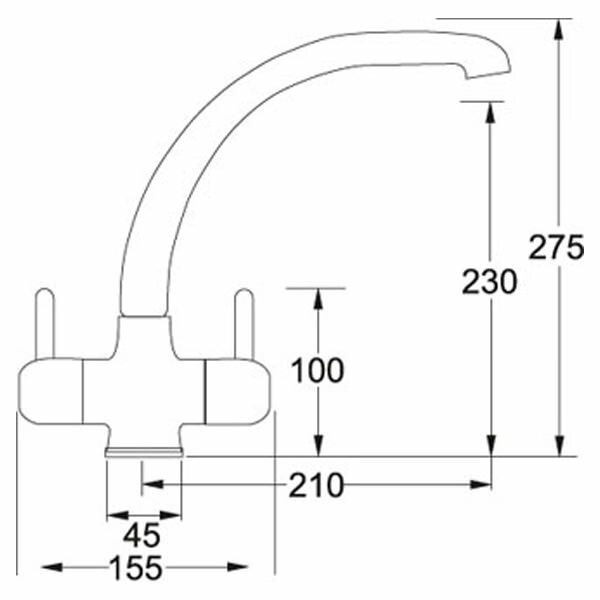 Optional Products: Plumbing Kit, Turbo Plus TP-50 Waste Disposal Unit and Accessory. 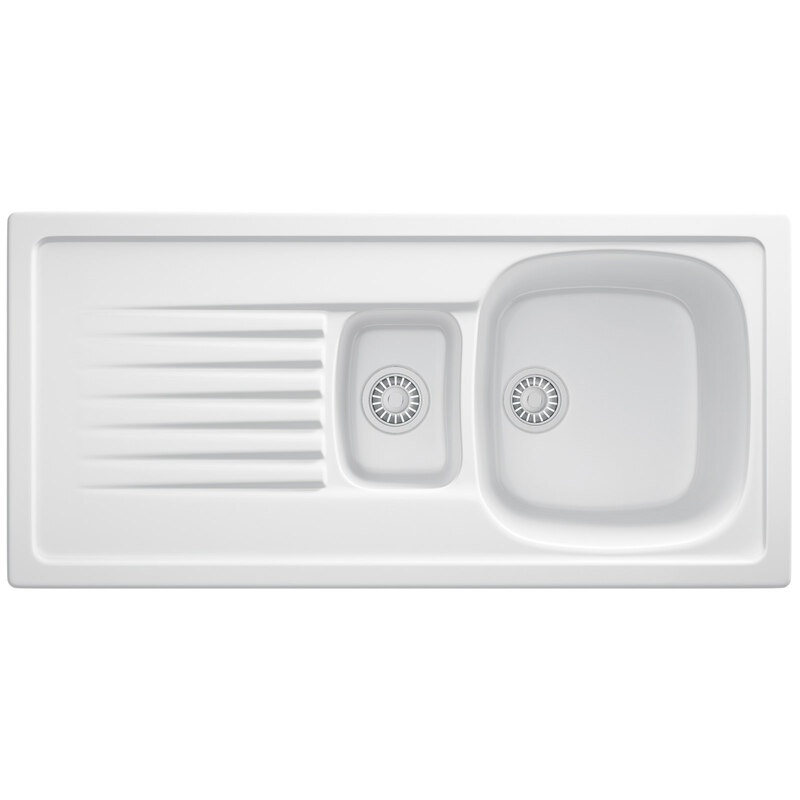 Cleaning process - For day-to-day care and glossy look, clean with water and damp cloth. 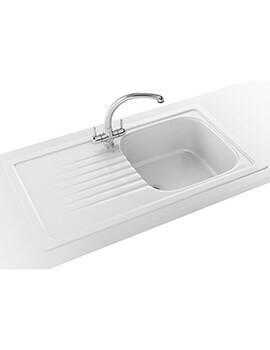 Abrasive cleaners should not be used as they will dull the gloss finish and to keep sparkling glazed surface apply a dilute solution of bleach every 2 to 3 days. 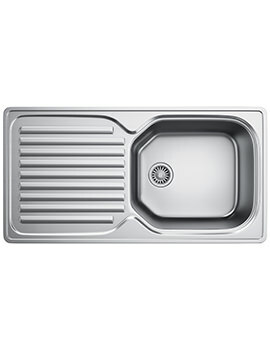 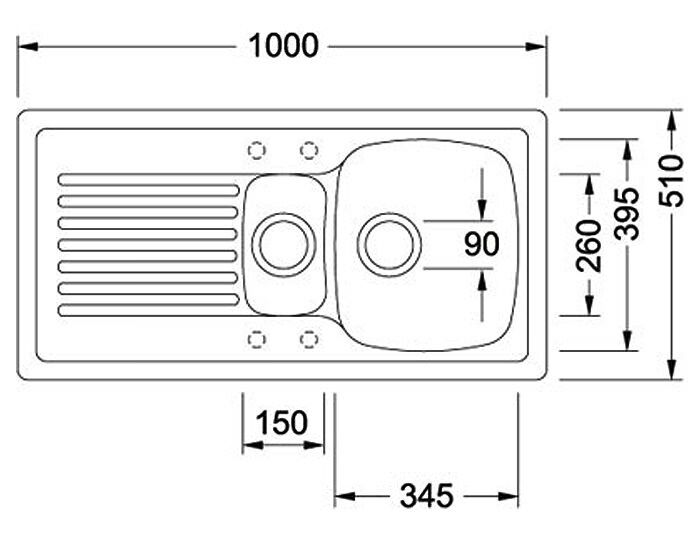 Note: Ceramic product measurements may vary +/-1% due to the firing process.It is recommended by the manufacturer that the sink should be used as a template in all cases.